We significantly upgraded our fluorocarbon coated tippet lineup for 2019 with ARC Double Agent, an entirely new formula with unmatched strength, abrasion resistance and low visibility. New ARC Double Agent features a 100% fluorocarbon coating over a new, stronger and more powerful nylon core. 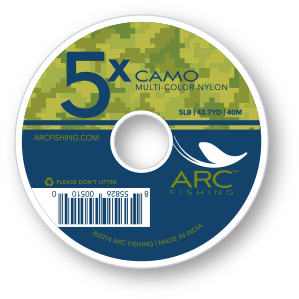 The result is a unique category of tippet combining the best features of nylon and fluorocarbon in a single product. 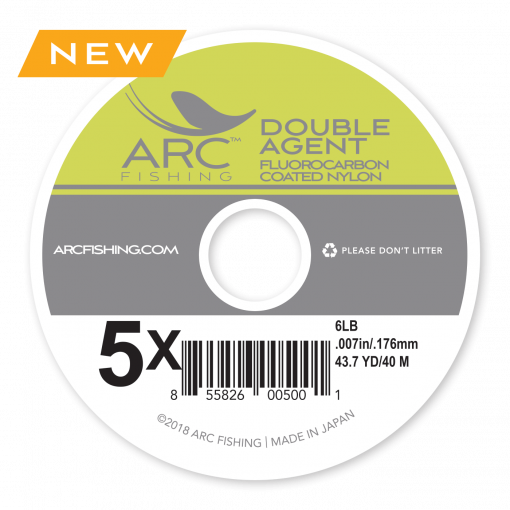 Thanks to its high-grade fluorocarbon coating, ARC Double Agent maintains almost 100% of its strength in water, unlike conventional nylon tippet that can weaken by 15% when wet. Superior knot strength, a super smooth finish, outstanding abrasion resistance and low visibility profile are other key advantages of new ARC Double Agent over traditional nylon. Available in sizes 0X to 6X.